(jan. 07) arellys, selina, cole & asher. Date de départ : cette semaine bien pourrite (a). Date de retour : bah euh je dirais le 7/01. Petit mot doux : à tous mes partenaires rp: keur . 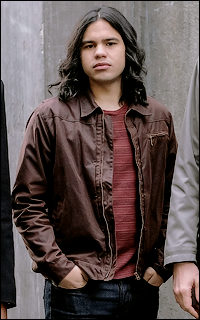 › faceclaim : carlos valdes, le bébé (valtersen). › multinick : la team zizi : lazaro, oliver, alvin, eliazar. Bon courage et passe de bonnes fêtes ! † If I touch a burning candle I can feel no pain. If you cut me with a knife it's still the same. And I know her heart is beating. And I know that I am dead. Yet the pain here that I feel. Try and tell me it's not real. @Cole Symons de retour ? ≈ you make me feel it's real.